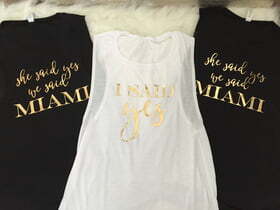 When a girl says yes, her best friends shout MIAMI! This bachelorette party is ready to hit the road. Sunshine State, here come the ladies!